These engines are specially designed for zero turn mowers and other high debris applications to endure extended use in extreme conditions. Made in the USA: Made in the USA of US and global parts. Electronic Fuel Management: Starts as consistently as your car. Patented 5-Step Integrated Cyclonic Debris Management System: Extended durability under heavy debris conditions. 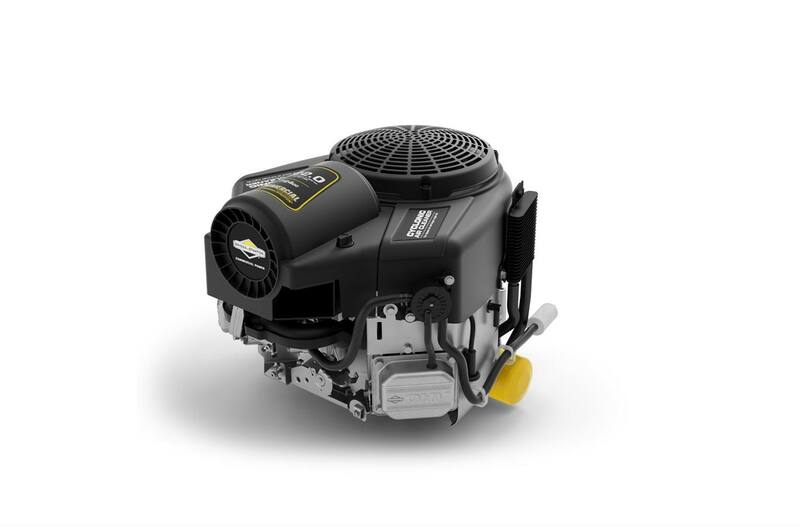 Qualified 50% Longer Engine Life*: When compared to expected life standards of a Briggs & Stratton Intek™. V-Twin Engine: For more power, comfort and durability. *All power levels are stated gross torque at 2600 rpm per SAE J1940 as rated by Briggs & Stratton. **All power levels are stated gross horsepower at 3600 rpm per SAE J1940 as rated by Briggs & Stratton. 3.12 in. x 2.89 in.